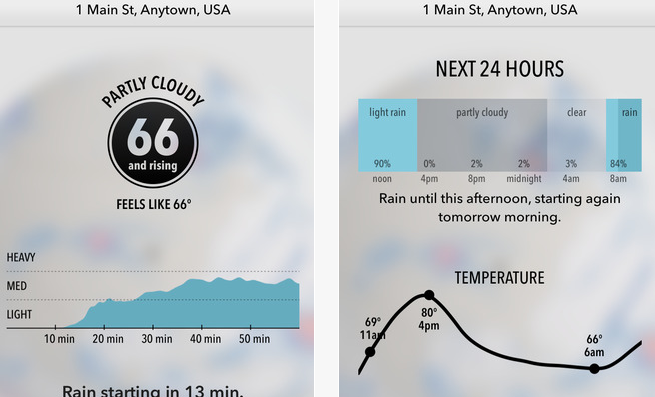 Dark Sky: has been redesigned to work on your Apple Watch, showing you weather data. Evernote: you will be able to dictate notes into your Apple Watch, see recently created notes, create reminders, and more. NY Times: lets you access one-sentence stories on your Apple Watch and receive news alerts on your wrist. Transit App: get nearby departure times without getting your phone. CityMapper: provides you with departures, status alerts, and other important transit information. There will be many more Apple Watch apps on the App Store in the next few weeks, so stay tuned.